If you’ve ever wanted to be amazed by the sheer talent of Dragon Con’s cosplay guests, the Costuming Exhibit was the place to be. The exhibit features everything from period-accurate Jane Austen dresses to full-size monster costumes from Fallout 4. The artists whose works are on display are truly amazing, showing off skills that put Hollywood to shame. Some displays were recreations of pop culture attire, while others were original designs. Artist Paige Gardner created a steampunk version of Siri, the Apple assistant, complete with phone cords for hair and a rotary phone dial on the shoulder. Gardner created a truly original work of art. Just to the right of the live Poison Ivy was an imaginative and detailed Masquerade Harley Quinn by Kellie Edwards. To add a bit of World War I flair, the exhibit featured a spectacular Wonder Woman costume. Moving a bit forward in comic history, it also had costumes of the Red Skull and Captain America. During last year’s parade, you may have seen Angry Plain Jain Costuming following behind guest of honor, Stan Lee, in her Mysterio costume. 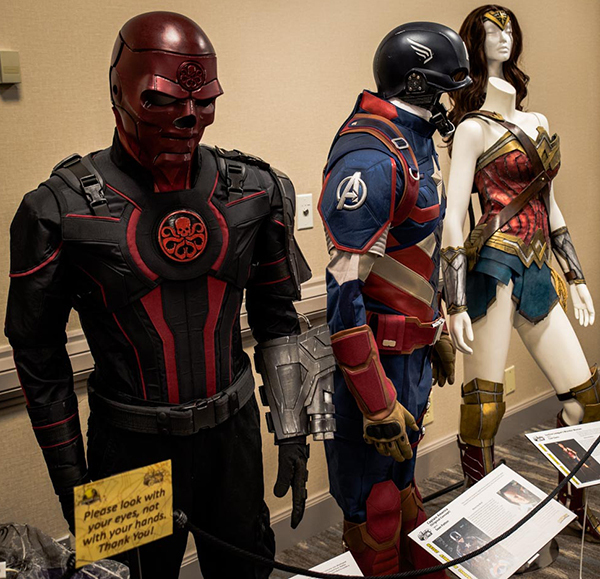 This year, it was on display in the costuming exhibit for fans to see up close and personal. 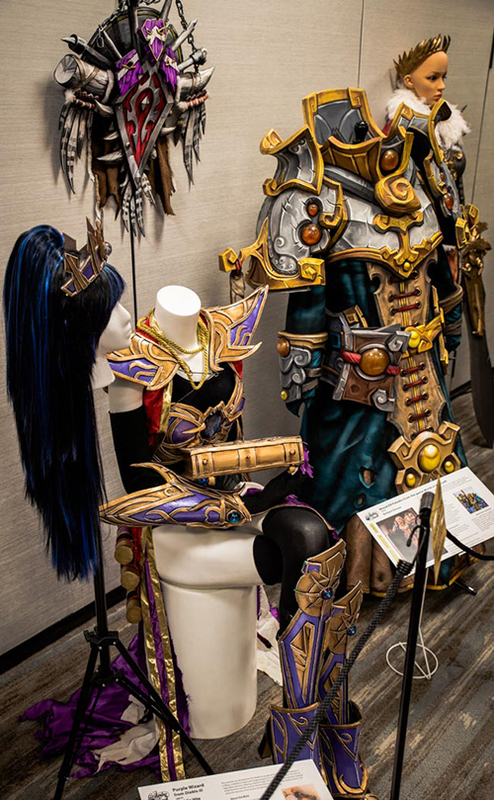 Video game fans could see replica armors from popular video games such as Assassin’s Creed, Smite, World of Warcraft, and Diablo III, as well. These displays looked like they just walked out of the screen and into the exhibit. The paint job on Brittani Ginoza’s Blood Elf Paladin from World of Warcraft, in particular, gave this suit of armor a realistic appearance while still maintaining the aesthetic of the game. For those new to costuming, the exhibit featured a show-and-tell section where visitors could handle and inspect foam armor, chainmail, and leatherwork. Overall, the exhibit combined cosplay and art into a dazzling display of talent and design.